Something I want to try on you guys is a weekly post (or semi weekly) called Retro Wednesday, where I’ll do a mini review of some “older” Good Smile Company and Family releases. Being that we’re located in the US I’d like to change things up a bit and show you guys some of our older catalog items. How they’ve stood the test of time and also maybe show you something we have that you didn’t even know existed! 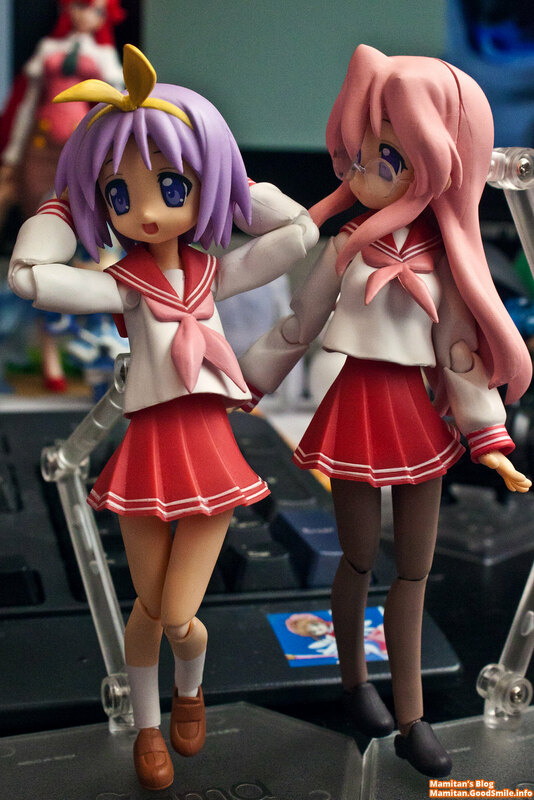 This week we’ll take a look at the original Lucky Star set released back in 2008, now I say “set” but they were each sold separately. 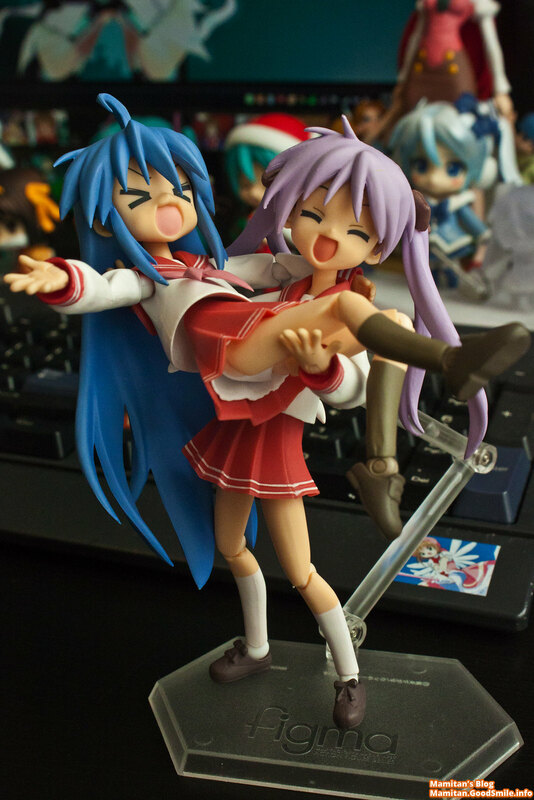 Being a fan of Lucky Star I was excited to get these figmas when they were first announced. 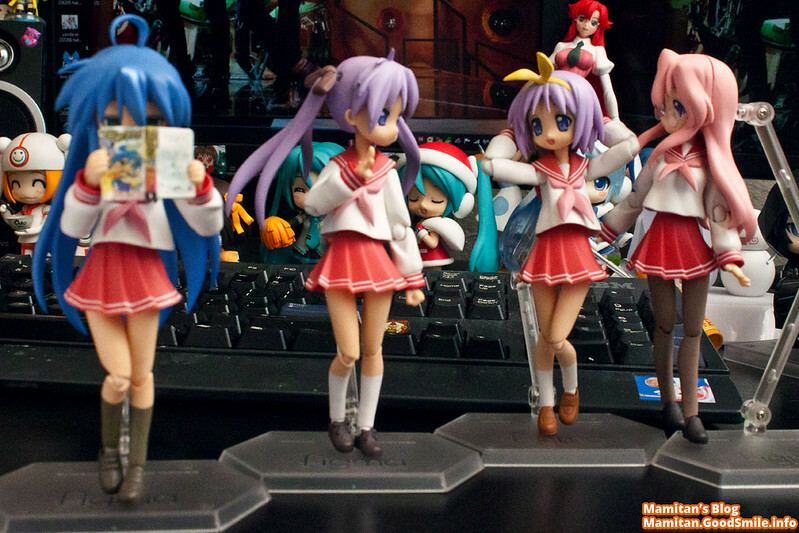 The Figmas you see here are actually part of my personal collection! 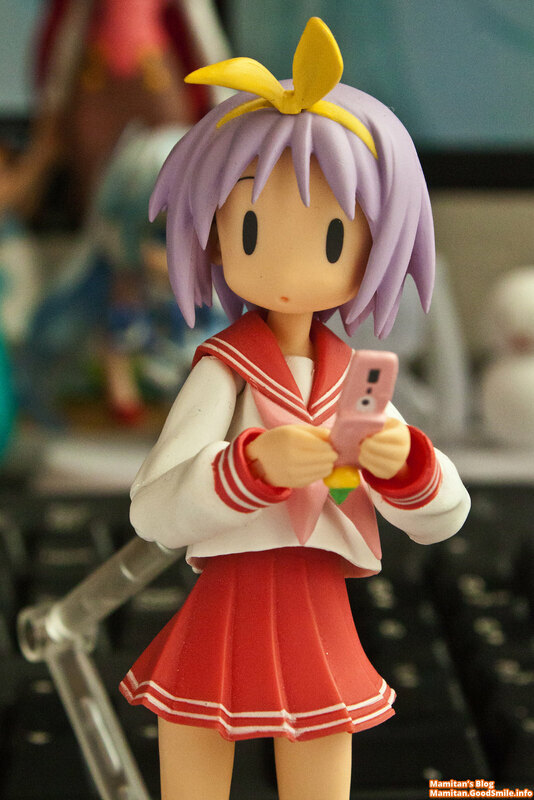 Something I always loved about figmas are their option parts, like Tsukasa’s cell phone! It even has an adorable charm included! I wish smartphones had a place to connect phone charms! 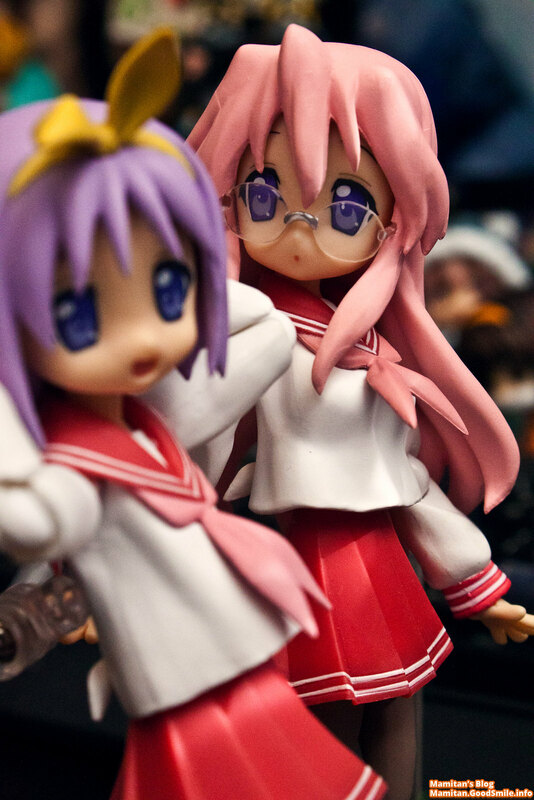 I’ll also make another quick confession, while these are my figmas, and my photos. I didn’t pose them myself. 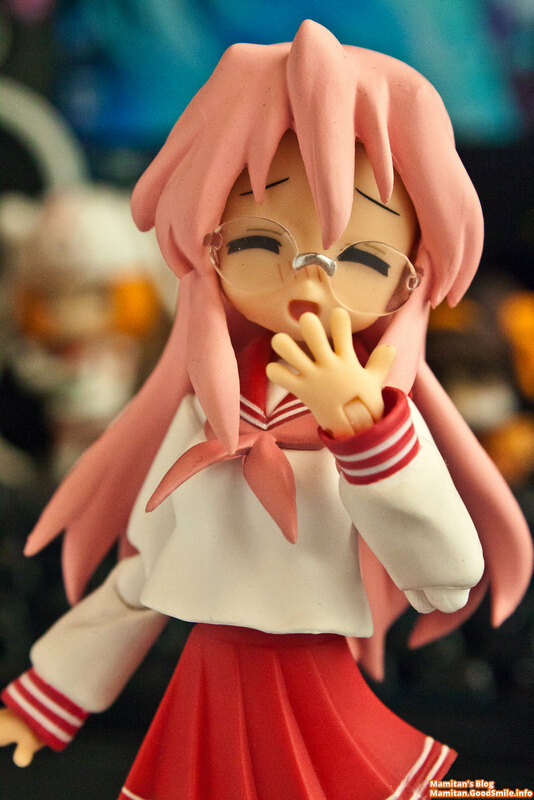 I’m a self proclaimed, worst poser ever (when it comes to figmas at least!.) I can pose Nendoroids just fine but I’m not very good with articulated figures. 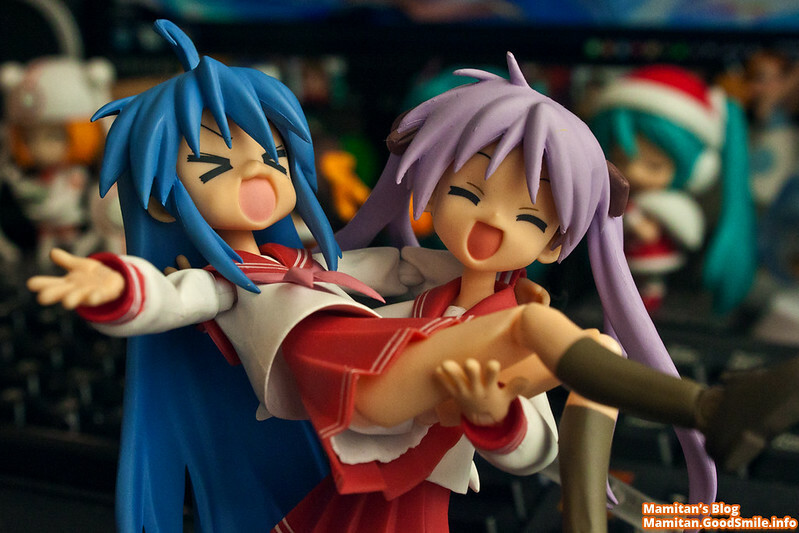 Now figmas I can do just fine usually, but to show you their true range of motion as well as what these amazing figures are capable of I’ve brought in a friend to help pose them! His poses are always so dynamic and really make the figures come alive! He focuses on each detail and in less than a minute each has each figma feel almost as if the character are walking along your desk! 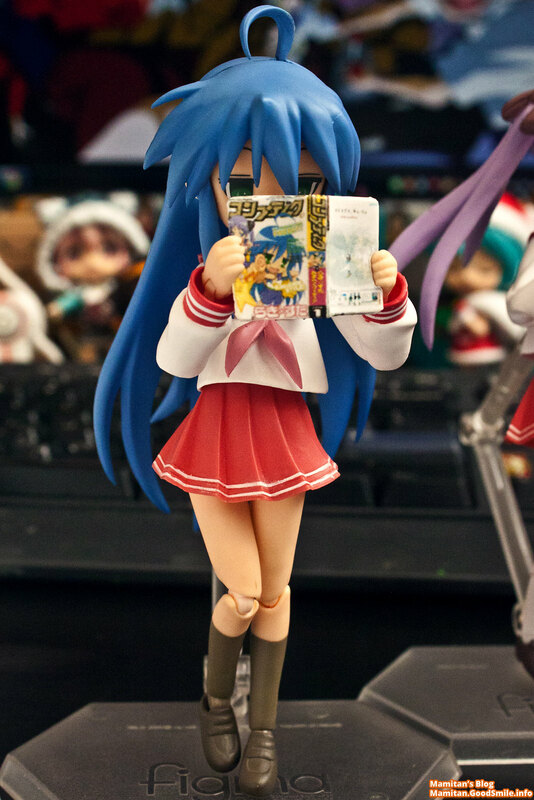 With Konata walking ahead with her nose in a manga and with the other girls most likely discussing something silly that happened at school! 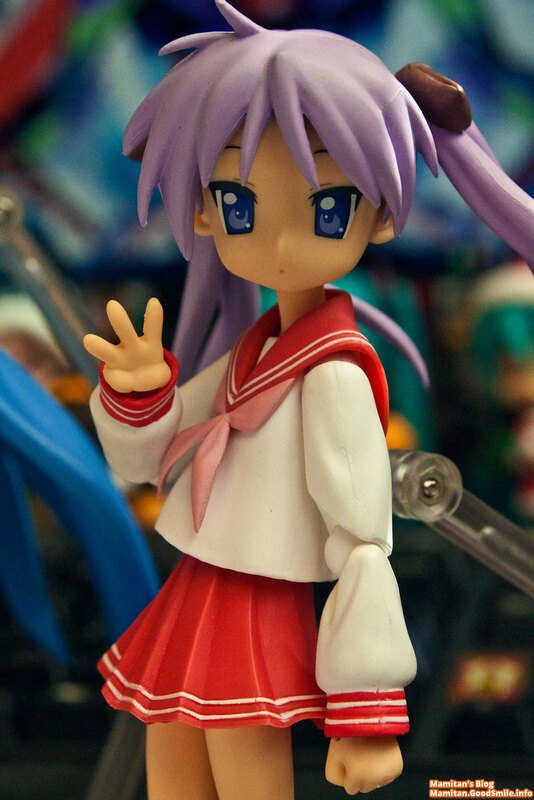 But it’s not just the figma posing that brings out the best, it’s how well they are sculpted too! The way their shirts just flow in the air, as well as the angles of their ribbons. Each part is delicately made to bring out the best in each girl! I’m still working on the lighting for the photos. I’ve got a Canon Rebel T1i but I need a better lens and sadly the lighting in my apartment is fleeting. I prefer a little more actual sunlight to bringing in tons of artificial lights. But this means I only have about 30 minutes of perfect light before it disappears behind a series of trees and walls. Looks like I’ll be doing more outdoors shoots to get the best out of these figures! Now for some figure information. Each of these girls came out in 2008, so sadly they’ll be a bit harder to find. You can head to Good Smile Company’s official site for more details on each girl! 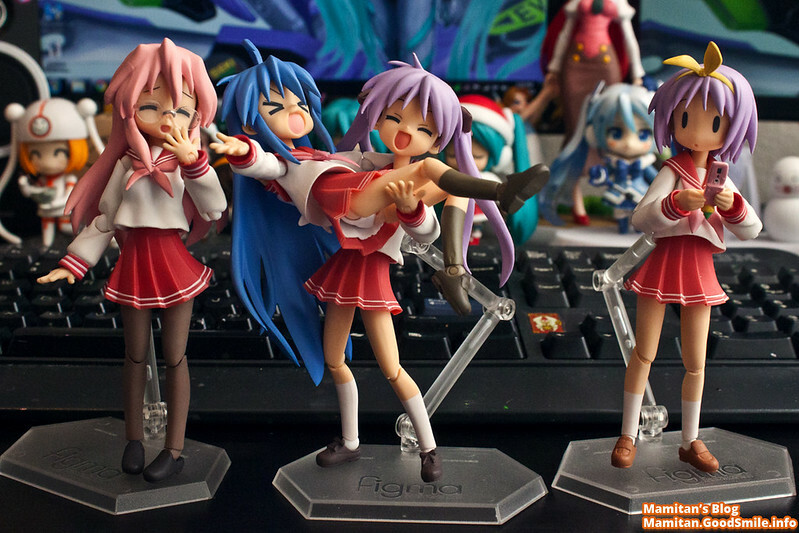 Konata Izumi , Kagami Hiiragi, Tsukasa Hiiragi and Miyuki Takara. Also, if you have a request for a certain figure review of an older GSC and Family figure let me know and I’ll make it into the next Retro Wednesday post! Thanks so much, currently I’m using the stock lens that comes with the camera when you purchase the kit. For the older photoshoots I used to do on my person blog, I always did outdoors shoots and rarely did indoor. So my indoor photos have less light and thus are a little more grainy due to high ISO settings. I hope to do better in the future and learn even more photography skills! I must say the idea of Retro Wednesdays sounds fantastic! Looking forward to more of it. And just an idea, with the release of the Nanoha the 2nd Movie A’s on the 22nd, maybe you could review Figma: 009 Fate T. Harlaown or Figma: 006 Nanoha Takamachi? I like this idea a lot! I should get my hands on them for a review! Great idea. Old figures can never get enough attention. Also, usually buying a case for a smart phone gives it the ability to attach a charm, just gotta be a little creative with it like looping it around the hole for the camera. I bought a case that has an attachment for phone charms. But sometimes I’d to change the case but keep my charms! Having Retro Wednesday’s to look at the old figures is awesome! I’m loving it and can’t wait for more.The poses for the figma’s are brilliant and really accentuates each figures and their personalities. Helps inspire me to pose better too!